A substance found in chocolate could actually improve the condition of your teeth, according to groundbreaking scientific research. 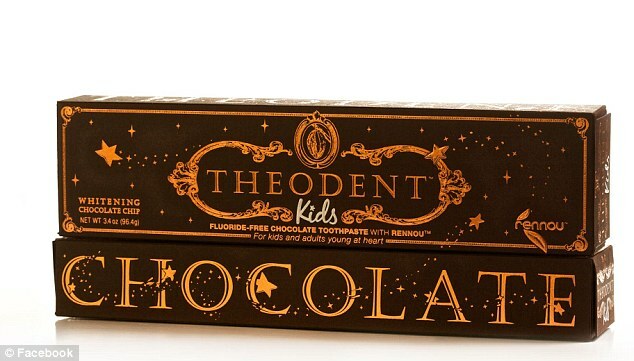 A toothpaste called Theodent has recently gone on the market which promises to strengthen the enamel on teeth using a natural extract from the cocoa bean, a key ingredient in chocolate. The substance called theobromine, was found to strengthen teeth and regenerate enamel by Doctor Tetsu Nakamoto in the 1980s at his laboratory in New Orleans, Louisiana. Following years of clinical trials, the research scientist was awarded a patent for his trademark ingredient Rennou. The team behind Theodent say that their product is non-toxic compared to fluoride which is used in the majority of toothpaste brands. Fluoride helps to prevent gum and tooth disease along with cavities and promotes dental enamel forming. However fluoride can be toxic if swallowed in large amounts. Theodent, which comes in mint flavor for adults and chocolate for children, is on sale at Whole Foods or at the company’s website for around $10 a tube. This entry was posted in Stress Free Dental and tagged childrens toothpaste, chocolate toothpaste, cocoa, dentist, flouride free, non toxic, north carolina, oral health, theodent. Bookmark the permalink.